Two weeks ago I published the first 10 cool things I recommend you try this winter as a family. It can be read here at: My Personal Top 10 List of Cool Things to do this Winter. And now, I bring you the third piece with ten more cool things to do this winter! That's a grand total of 25 super awesome ways to get outside as a family this winter, to embrace the cold, and to learn to love winter. 1. Learn to x-country ski at the Canmore Nordic Centre. The Canmore Nordic Centre has a rental shop for beginners who want to try skiing before they invest in all the gear. You can even rent a different style of skis for the day if you'd like to try skate skiing for example. They also rent ski sleds for children too young to ski and they rent toddler skis if you'd like to have the youngsters at least try skiing for a few minutes before putting them in the sled. Rent skates for the skating pond on site, fat bikes for the winter bike trails at the Centre, and snowshoes for the non-skier - and I think you'll see how you would be able to spend the whole day here. The rental shop, Trail Sports, also offers drop-in lessons for individuals, families or groups in both classical or skate technique. Trail fees are in effect at the Nordic Centre but the trails are immaculately groomed and you won't find a finer place to learn to ski. The trail map can be viewed on line and you'll find that there are loops for all abilities, with some trails even lit for night skiing. 2. Learn to snowshoe at Kananaskis Village. 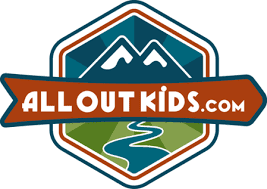 Kananaskis Outfitters rents snowshoes for adults and children, x-country skis, ski sleds for toddlers, and skates so that you can spend a whole weekend at the Village and not have to worry about not having gear of your own. There are groomed x-country ski trails that leave right from the Village and there are snowshoe trails in the area as well. The Village Loops Snowshoe Trail departs from the Village and is an easy 3km outing composed to two short loops. And brand new at Kananaskis Outfitters this year is their moonlit snowshoe tour with cheese fondue at the end. Perhaps best enjoyed without the kids, here is a chance for Mom and Dad to get out alone and enjoy a romantic night out with some exercise and good food. 3. Learn to downhill ski at Nakiska Mountain Resort. Nakiska is Calgary's closest mountain ski hill and I always recommend it to beginners wanting to learn how to downhill ski. Not only are the green runs extremely friendly for novice skiers, but the hill is always well groomed and easy to learn on. The other thing I like is that everybody can ski on the beginner hill and use the magic carpet without paying for a lift ticket! You can get a special beginner ticket that is free and it allows you access to the magic carpet. 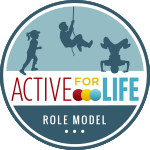 Even adults! Find me another hill that does that. Nakiska also has a tube park that is great for the younger kids. It is smaller than the Norquay tube park and great for a first tubing experience. 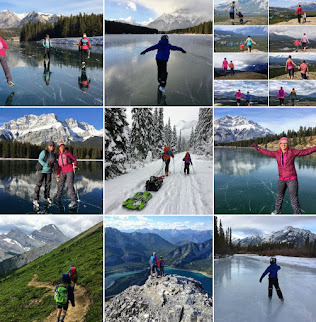 Finally, while in the area, check out the snowshoe and cross country ski trails and go skating on the pond at Kananaskis Village. 4. Go Tubing at Mt. Norquay. We tried this last winter and it was a complete and total rush! I think I probably screamed the whole way down my first ride and my son laughed the whole way down. The Mount Norquay Tube Park was the first in the Banff area and is certainly one of the biggest with the steepest ride. For more information on height and age restrictions, visit the Mount Norquay website. Many people add the Tube Park on to their lift ticket when they go skiing at Mount Norquay, but you could certainly make a day out of just going to Banff to enjoy the Tube Park without skiing. Snowshoe trails are located nearby if you want to extend your trip to Norquay without skiing and I highly recommend visiting the Banff hot springs and going out for dinner in town after. Successful day in Banff accomplished! To read more about our experience at Mount Norquay last winter, check out my story: Mount Norquay - Fun for the Whole Family in Banff. 5. Go snowshoeing in Sunshine Meadows. White Mountain Adventures runs a fabulous snowshoe tour out of Sunshine Village Ski Resort in Banff. I have done the tour twice now and would still go again. Hiking across the Continental Divide in winter to Rock Isle Lake is a beautiful experience and you'd be hard pressed to find a greater spot to go snowshoeing in Banff. The tour is suitable for children 12+ but is very doable for the novice hiker (lest you think it's strenuous and challenging.) Most of the time is spent walking, running, and leaping downhill after riding a chair lift to your vantage point above Sunshine Meadows. For a great day in the meadows, round up a group of friends or your partner and head to Banff for some solo-time. You'll return to the kids refreshed and better from the time away. 7. 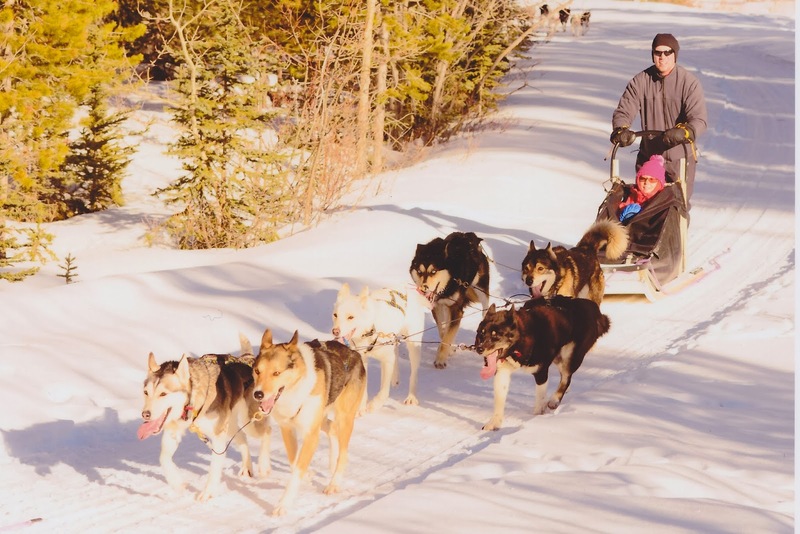 Learn how to drive a dog sled team - Last winter we got the chance to go on a tour with Snowy Owl Sled Dog Tours and by the end of the tour I wanted to go out and buy a sled, a team of dogs, and become a professional musher. Not because it's so easy, but because it's so fun!! Dog sled tours are very family-friendly and the kids can ride in the sled while Mom and Dad drive. To find out more about this cool winter activity, read the story I wrote last winter: Dog Sledding with Snowy Owl Tours - Best Day Ever! "I really love how ice fishing teaches delayed gratification and patience, something lacking in today's face paced world. We always have impromptu fort building, pick up hockey and an awesome fish dinner!!!" 9. Skate on a frozen river. Often when I tell people that they can skate on the Bow River in Banff, they look at me with disbelief. And in fact, I had never done this until last winter. But the Town of Banff does clear an oval on the Bow River every winter as long as conditions are safe to do so. More information on skating in Banff can be found on the Town website. The oval is located along Bow Ave.
10. Take a trip somewhere new! Over the last couple of years we've been trying to visit some of our favourite summer places - in the winter. It's cool to see what your favourite little camping town looks like with snow. Last winter we visited Waterton Lakes National Park and were blown away (literally and figurative) by the differences between summer and winter. So, did I miss anything super cool to do in the winter?? 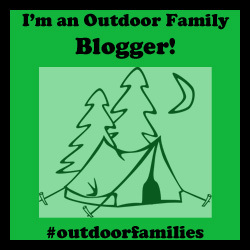 Leave a comment and let me know what your family likes to do in the winter to embrace the cold and enjoy the season.